One week each fall, the very best Grand Canyon painters from around the country gather in the park for the Celebration of Art. 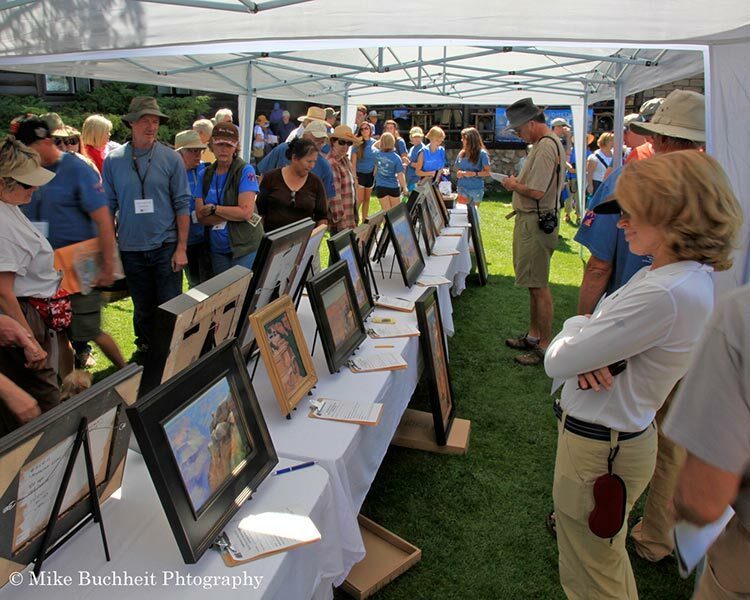 They come here to capture the canyon on canvas, interact with visitors, display and auction their work in support of the arts in Grand Canyon National Park. It is a marvelous opportunity to meet your favorite painters. If you are no stranger to the brush, you might even pick up a technique or two to take home to your own studio. This year marks the ninth consecutive year that Grand Canyon Association, the National Park Service, and other partners play host to what has become one of the most highly-anticipated events on the calendar. The public events listed below are free with park admission and fun for the entire family. Quick Draw & Auction: Saturday, September 16, 2017; 8 a.m.-12 p.m.